Ashton Tweed offers a vibrant, retained executive search service for your business when you require permanent placement of highly experienced life sciences industry professionals. We draw on our extensive network of contacts and sophisticated search methods to place exceptional individuals in critical positions from discovery through commercialization. Senior attention — Your account will not be delegated to junior staff. Each assignment is managed and run by an Ashton Tweed partner. Confidentiality — All communications remain private. Candidate and company names are never released without authorization. Responsiveness — We view your company as a partner and are dedicated to promptly meeting your needs. Ashton Tweed’s leadership has successfully placed candidates ranging from the highest level of management to the most highly specialized life sciences experts. We approach the executive-search process holistically to ensure each candidate is expertly matched with your company on both professional and personal levels. Our partners have the life sciences and human capital experience to grasp the nuances of your business and place candidates who deliver results. To read more about how we can facilitate your company’s success, visit the Ashton Tweed case studies page. Ashton Tweed’s partners have more than 75 years of direct life sciences and human capital experience, allowing us to fully understand your business’s needs and counsel you on the right human capital strategy. 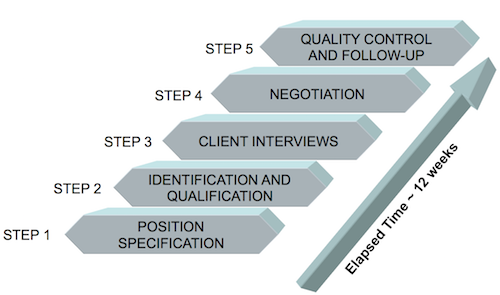 We employ a five-step search process that ensures the right candidate is placed with your company. Gain in-depth understanding of client operations, organization, and culture. Glean company vision and career opportunities. Outline position responsibilities, reporting relationship, education and professional requirements. Provide written Ashton Tweed Position Specification for review and approval. Research potential organizations as likely sources and review for client perspective. Contact, screen, and evaluate prospective candidates. Narrow list of candidates and develop and submit background profiles for feedback. Coordinate interviews with appropriate individuals. Select finalists, conduct reference and background checks as required. Facilitate next round of interviews with finalists. Negotiate salary and benefits, clarify retirement plans, expense policies, etc. Detail additional compensation such as bonus, commission, etc. Hold phone meeting with client and new executive after first week to ensure mutual satisfaction. Check in at one-month anniversary with all parties. Hold 90- and 180-day assessment discussion with client and executive. Gather feedback to improve services.